The political turmoil and rioting in Britain and France highlight a fault line in Western democracies. Voters have seized on a 'generalized' rebellion against 'thriving' elites, according to one expert. Populism has been fuelled by dissatisfied voters who compare their situation with "thriving" elites, according to an expert on governance. "The response to it is a generalised rebellion, saying we don't really have an alternative plan, we don't really know exactly what we want instead, but if we can disrupt what's going on in any way possible, then surely that's going to help," said Yascha Mounk, a lecturer on government at Harvard University. That often doesn't work out, he told The Current's Anna Maria Tremonti. "If you simply throw a wrench in the system, understandable as that may be, you end up with the mess that is Brexit, you end up with the chaos that you're seeing in France today." British Prime Minister Theresa May delayed a parliamentary vote to approve her Brexit deal Monday, after reports that it would be defeated, potentially bringing her leadership down with it. The country is due to leave the EU in March. A "hard Brexit" — leaving without a transitional deal in place — could mean chaos for Britain's trade routes, and even food and medical supply shortages. 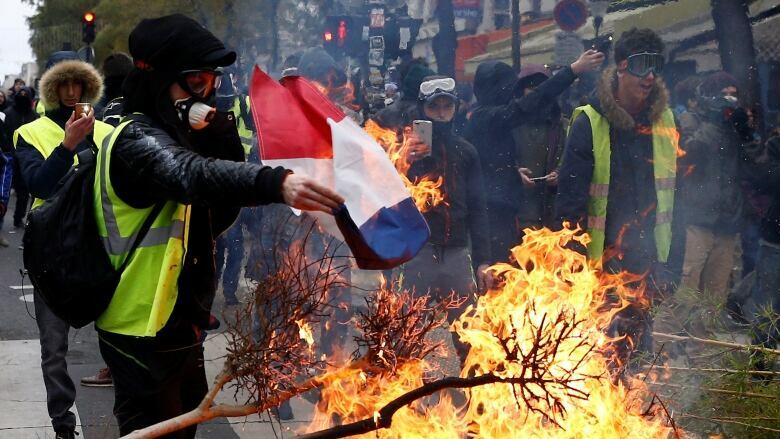 Across the channel, her French counterpart, President Emmanuel Macron, has cancelled a planned tax increase and boosted minimum wage after weeks of angry protests on the streets. Simon Usherwood, a politics professor at the University of Surrey, and deputy director of a research program called The UK in a Changing Europe. Yascha Mounk, a lecturer and author of The People Vs. Democracy: Why Our Freedom Is in Danger and How to Save It. Produced by Alison Masemann and Imogen Birchard​.